ISSMA State Solo and Ensemble is this weekend at North Central High School in Indianapolis. Here are some tips to prepare for everything you need to consider beyond your music performance! I am quite sure your director and private instructor has told you to be early for rehearsals, concerts, and etc. You definitely want to be early when it comes to Solo and Ensemble. You never know what could happen—the weather might be terrible and it may take twice as long as you planned, the performance order may change, a performance room might change, you might have issues with your instrument…anything can and probably will happen! Being early doesn’t fix these problems, but if definitely gives you the chance to get in the right headspace and deal with any problems effectively. Bring Your Medals to Paige’s and Save! As contest season comes to a close we feel it is the perfect time to reward your student for his or her hard work by upgrading to a higher level instrument. If you’ve been looking for a good reason to exchange your beginner instrument for a more advanced instrument, Saturday, February 24, 2018 may be the perfect time to do just that! On Saturday, February 24th Paige’s Music is presenting an exclusive offer to those who have competed in solo and ensemble contest earlier in the day. 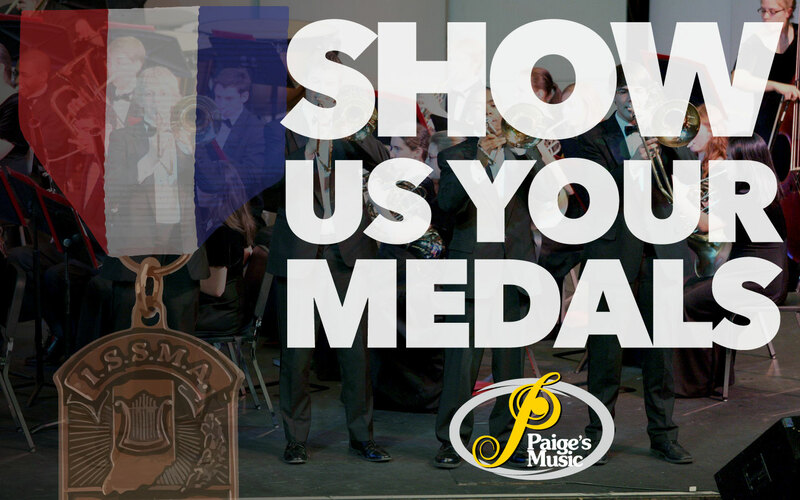 If your student brings his or her contest medal into our store we will take one month off of a new rent-to-own agreement or 7% off an outright purchase of an intermediate or professional level instrument. We have a variety of step-up instruments available for rental. If you have any questions about upgrade options, please call or email us and we can explain our Premier step-up rental program. Offer valid in store only. Offer only applies to in stock inventory. If you are in Indiana during the fall, you know marching band is a huge deal here! Indiana is home to many of the best marching bands in the country with Avon, Carmel, Center Grove, Chesterton and Lawrence Central all winning the Bands of America Grand National Championships. This weekend is the famed “Cavalcade of Champions” at Center Grove High School in Greenwood, Indiana. One of the most storied marching band invitationals in the state. This is the last weekend of invitationals before “playoff” season begins. If you’re looking to see some of best bands from around the state, this is a great show to attend as it features incredible programs, big and small! The “playoffs” are the process of working from every competitive marching band into the eventual state champion of each respective class. 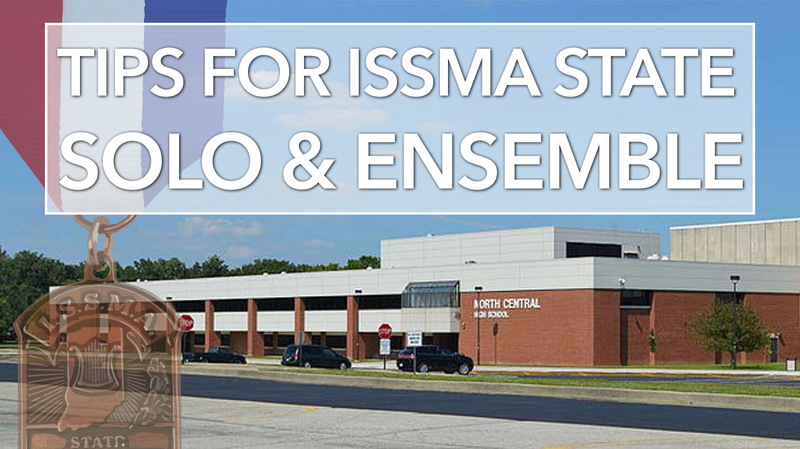 The competitions are hosted by ISSMA (Indiana State School Music Association) at various sites throughout the state. Each class is determined by school size with Class D being the smallest competitive class and Class A being the largest class. We begin with a regional where the top 10 bands in each class move on from each site into the semi-state stage. At semi-state, the top 10 bands in each class advance to the state finals where each class has a competition to become the state champion. Paige’s Music is proud to support ISSMA and all of the participating groups in the upcoming events. Best of luck to everyone this fall!